The barbarians are surely at the gates: Simon Barnes, The Times’s chief sportswriter, is leaving the newspaper. According to a “shocked” Barnes, his departure is because the Rupert Murdoch-owned newspaper can no longer afford his wages. Barnes has been at the paper for 32 years, initially as its sports diarist, but for two decades as its noted and award-winning chief sports writer, covering all the major sporting events, including seven summer Olympics. For the Saturday paper, Barnes has also written a widely admired wildlife and bird-watching column. 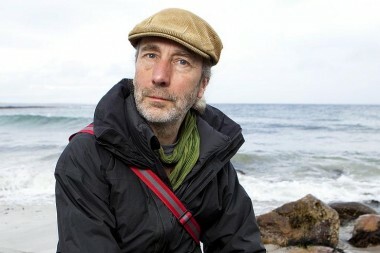 Barnes has confirmed that he is leaving The Times, writing to a wildlife blog which has suggested that part of the reason for the star sportswriter being axed has been his uncompromising coverage of the persecution of the hen harrier, a bird of prey which is suffering from poisoning on many large estates where game shooting is an important source of income. Barnes was named Sports Columnist of the Year at the SJA British Sports Journalism Awards in 2001 and 2007 and regularly featured among the short-listed entries at our awards. Bondy twisted the knife in a passing shot about the modern state of our business: “There is no more literate sportswriter than Barnes, but maybe his Twitter account didn’t have enough followers.” As at lunchtime today, “Twitcher” Barnes had not tweeted since February. In an email message published online by Mark Avery, Barnes explained his departure thus: “I have no idea how these things are decided. Their line to me was that they were selling their top striker because they could no longer afford his wages.